Fire and marijuana do not mix. That is especially true in California, where the season for wild land infernos and cannabis harvesting coincide. Cheryl Dumont knows all about the challenges that come with this combustible reality. When in October 2017 a set of wind-whipped fires roared across Napa and Sonoma counties, she was able to evacuate but could do nothing to save her well-tended crop. It went up in smoke, as did many other adjacent fields of tall, green-leafed plants ready for market. Dumont and her peers had anticipated a bumper harvest and a spike in demand. After all, in November 2016 Californians had voted to legalize the recreational use of marijuana, bringing weed out of the shadows. She and others were hoping to capitalize on that political turn, a dramatic shift in public opinion that is a crucial feature in my new anthology, Where There’s Smoke: The Environmental Science, Public Policy and Politics of Marijuana. The book is the first comprehensive and interdisciplinary analysis of the impact that marijuana has had on the physical and political landscape of the United States. Drawing on the insights of scientists, policymakers, and legal scholars, academics and activists, collectively it probes the complex relationship between marijuana, state and national politics, endangered species, law enforcement and social justice. 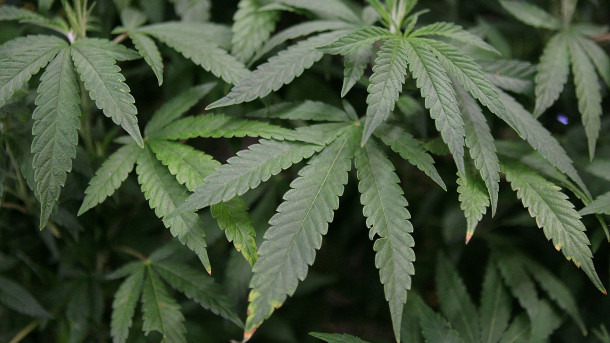 A cluster of chapters, for example, charts the tricky routes that Colorado (2012), Oregon (2014), and California (2016), along with the District of Columbia (2014), took to legalize marijuana. Each state’s approach was idiosyncratic, shaped in good measure by its differing demographics and histories. Each had to overcome a variety of social, economic, and political objections to secure the electorate’s approval. Each proposition or initiative therefore evolved over the years until proponents hit on the right combination of controls and regulations to build a large enough coalition willing to change the longstanding prohibition against the production and consumption of marijuana. Little about this dynamic has been straightforward. It becomes even more complicated when set within the broader context of America’s war on the drugs. That Nixon Era policy is critical to the arguments of other chapters in Where There’s Smoke, which together reveal the striking degree to which national anti-pot policies harmed the very states that recently made marijuana legal. California, for example, which today produces upwards of 80 percent of the national marijuana crop, experienced its first boom in illegal growing as a result of the 1960s counterculture; farmers in what became known as the Emerald Triangle (Humboldt, Mendocino, and Trinity counties), grew grass for consumption in nearby Bay Area. The emerging industry might have stayed relatively small and stable had not President Nixon in June 1971 launched a crackdown on drug production south of the US border. This intervention actually brought the war home, because it incentivized cartels to shift their operations from Mexico and South America to California. They targeted national and state forests, as well as tribal lands, sites that proved to be the perfect environment for their trespass grows. Hard to reach, difficult to surveille, and almost impossible to disrupt, these illegal plantations blossomed in number and size across the next four decades. The black-market economy in the Golden State generated billions of dollars in illicit revenue. To capture some portion of these ill-gotten gains is one reason why Californians (and voters across the country) have pushed to legalize marijuana, and then regulate and tax its production. There has also been an important environmental driver to these marijuana-reform proposals. 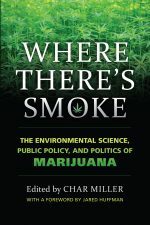 As a number of the contributors to Where There’s Smoke point out, marijuana plantations—whether legal or not—can have some decidedly deleterious impacts on water quantity and quality, soil productivity, wilderness and biodiversity. Wildlife ecologists identify the rare and endangered species, in particular the Pacific fisher, whose life chances are undercut by growers’ indiscriminate use of rodenticides and other poisons. Tribal forest managers calculate the manifold costs that their people pay because of trespass grows on their homelands; their woods and waters are not safe. Environmental sociologists, law enforcement officers, and other researchers make the same case: the marijuana industry can be a destructive force, a very dirty business. How clean it up? How restore damaged watersheds, canyons, and hillsides? There is no easy solution, as I note in the introduction to Where There’s Smoke. For some states, a political response, such as legalizing recreational use, might allow for stronger oversight of how and where marijuana is grown. California’s 2016 proposition took this concept one step further, setting aside a portion of the tax revenues the state would secure from the sale of legal marijuana for the regeneration of battered public lands. Yet legalization can only do so much, one public-land manager avers in the book: “Whatever happens [with legalization], we’ve got a job to do. So legalization isn’t a question for us. You’re not allowed to grow corn or potatoes in national parks, so we would go after those grows too.” Other observers are skeptical that legalization will undercut the drug cartels’ cash-cow business model to such an extent that they would be forced to uproot from California (or the other states that have or are considering legalization). This much is clear. With eight states and the District of Columbia having legalized recreational use, and a total of 29 states (and D.C.) having sanctioned the use of marijuana for medicinal purposes, the politics of marijuana have shifted radically in a relatively short time. The federal government, however, has not yet joined the bandwagon. To date, marijuana remains classified as a Schedule 1 substance, like heroin. Although the Obama administration tacitly acknowledged individual state’s rights to manage, regulate, and enforce laws relative to marijuana, the Trump administration has reversed that more relaxed approach. This has left pot farmers such as Cheryl Dumont in limbo: federal banking regulations, in line with federal drug laws, do not allow marijuana growers to deposit their profits in federally regulated financial institutions. This has forced growers to stash their money wherever they think is safe. Dumont, for one, buried her stash–$40,000 worth of gold and silver coin—in a plastic box, two feet underground. She had to leave it behind when the wall of flames swept toward her property, an intense wildfire that would incinerate her home and crops. It also melted her cache. Char Miller is the W. M. Keck Professor of Environmental Analysis at Pomona College and the author and editor of many books on environmental history and public lands, including, as author, Not So Golden State: Sustainability vs. the California Dream; America’s Great National Forests, Wildernesses, and Grasslands (with photographer Tim Palmer); and Seeking the Greatest Good: The Conservation Legacy of Gifford Pinchot. He also edited American Forests: Nature, Culture, and Politics, published by Kansas. 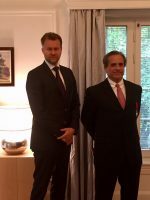 Gordon Sander, author of, The Hundred Day Winter War; Finland’s Gallant Stand Against the Soviet Army, received Finland’s Order of the Lion in a ceremony Oct. 12 at the Finnish ambassador’s residence in Washington, D.C. 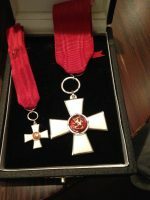 The medal of the Knight of the Order of the Lion, bestowed by Sauli Niinistö, president of the Republic of Finland, was presented to Sander by the Finnish embassy’s deputy chief of mission, Antti Vänskä. 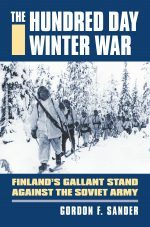 Sander has written two books and hundreds of articles about Finland’s military history. During his research while writing The Hundred Day Winter War, Sander’s discovered the war was the first to be a battle of weapons and words. 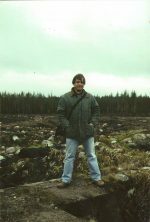 Sander’s experience in Finland writing The Hundred Day Winter War afforded him the opportunity to interview veterans of the war, visit battle sites and use his work to honor Finland’s victory. Sander is currently living in Daugavpils, Latvia, working on assignment from Politico. He has written for more than 20 publications including The New York Times, Financial Times of London, The Christian Science Monitor and the International Herald Tribune. Admittedly, we like to think we’re unique. But, according to UPK Managing Editor Kelly Chrisman Jacques, the University Press of Kansas is different than many university presses (perhaps, especially, those that are larger). Chrisman Jacques and her department, which includes Production Editor Larisa Martin and Production Assistant Colin Tripp, guide a manuscript from copy-editing to books in warehouse. All books are copy-edited and proofread by freelancers (“it’s so much more efficient for our staff size,” Chrisman Jacques explains), but trim, interior design, and layout are handled by her staff. While the staff at UPK is small and departments collaborate on projects, production staff and editors don’t cross lines often. Editor in Chief Joyce Harrison says her team of acquisition editors know how important it is to trust the production team. Chrisman Jacques and Harrison agree that the wild card in production isn’t design or typeface or a printing schedule… it’s authors. 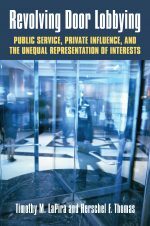 A pair of UPK authors will be featured presenters at the National Press Club’s 2017 Book Fair & Authors’ Night on November 10 in Washington D.C.
Charles Calhoun will be signing copies of his critically acclaimed The Presidency of Ulysses S. Grant and Timothy LaPira will speaking with visitors about Revolving Door Lobbying, the book he co-wrote with Herschel F. Thomas III. The books are among the nearly 90 titles selected by Politics & Prose, the District’s premier independent bookstore as the best of political publishing. The Capitol region’s premiere holiday book event is celebrating its 40th year! The National Press Club Journalism Institute is once again partnering with landmark local book seller Politics & Prose for a night of pols, pundits and prose. Authors will be on hand to talk to their fans and sign books at this most exciting literary event of the season. Patrons can browse for books at the Club’s headquarters from 5:30 to 8:30 p.m. Tickets are $5 for NPC and Politics & Prose members; $10 public. Tickets will also be sold online and at the door. The Book Fair is a fundraiser for The National Press Club Journalism Institute, a 501 (c) (3) charitable organization. The event helps the Institute’s programming and mission, which includes a competitive scholarship program with a focus on promoting diversity among the next generation of journalists, and training programs focusing on high standards, ethical conduct and best practices in a rapidly changing media environment. 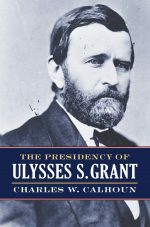 CSPAN plans to feature books and authors on their programming. Tagged Grant, Lobbying, National Press Club, Washington D.C.